يحظى فندق Sunshine Beach Resort بمكان متميز في محور جولد كوست شواطئ في منطقة ميامي الفاتنة. يسهل الوصول إلى هذا الفندق ذو 3.5 نجوم من المطار، فهو يبعد عنه مسافة 15. Km فقط. إن سهولة الوصول من الفندق إلى المعالم السياحية الشهيرة الكثيرة في المدينة كمثل Gold Coast Antique Centre, Gold Coast Organic Market, نوبي هو استثنائي بحد ذاته. إن الخدمات الممتازة وحسن الضيافة العالي في Sunshine Beach Resort تجعل إقامتك تجربة لا تنسى. يقدم الفندق واي فاي مجاني في جميع الغرف, تسجيل وصول/خروج سريع, تخزين الأمتعة, واي فاي في المناطق العامة, صف السيارات لضمان الراحة القصوى لضيوفه. في Sunshine Beach Resort غرف نوم يزيد عددها عن 27 صممت بذوق وعناية لتوفر لك كل وسائل الراحة . بعضها يحتوي أضاً على تلفزيون بشاشة مسطحة, غرف لغير المدخنين, مكيف هواء, تدفئة, مكتب. صممت خدمات الاستجمام في الفندق والتي تتضمن حوض استحمام ساخن, مسار جولف - ضمن 3 كم, حمام سباحة خارجي, سبا, حديقة لمساعدتك على الاسترخاء والراحة. إن كنت تتطلع إلى إقامة مريحة وهادئة في جولد كوست، فستجد في Sunshine Beach Resort بيتك الثاني. Good value, clean & good location. However they only provided room service every 2nd day for people who stay more than 1 night. Means please prepared your own toilet paper if u finish it before the day they clean up your room. I guess we get what we paid😄. Great value for money manager very friendly...remember this is a budget motel so don’t expect the world for your $80 a night but it was one night and we would stay again. I brought my 1-year old with us, the staff was friendly. Room is clean, they gave us a 3 bed room! No elevator, so heavy luggage you will need some muscles to carry up for you. wifi is not free, AUD4 for one hour use. Everything else was fantastic. We stayed here for one night and it was very suitable for our purposes. The bed was very comfortable and facilities were enough for us. The staff were very friendly and accommodating and the bus stop is just at the front of the establishment. 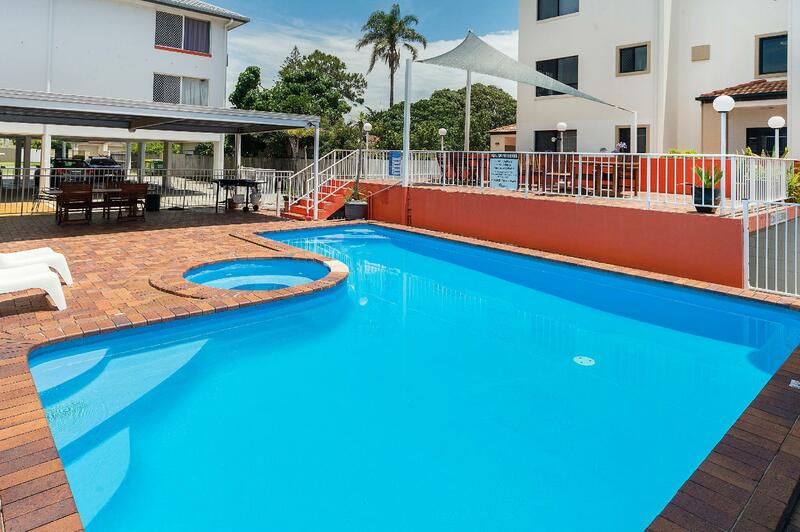 I booked the resort last minute since I was coming to surprise my boyfriend who studies at Bond University and wanted to have an explore around the Gold Coast. And I couldn't have been more happy. Since I am a student, I am on a budget, and this could not have been a better place to stay. 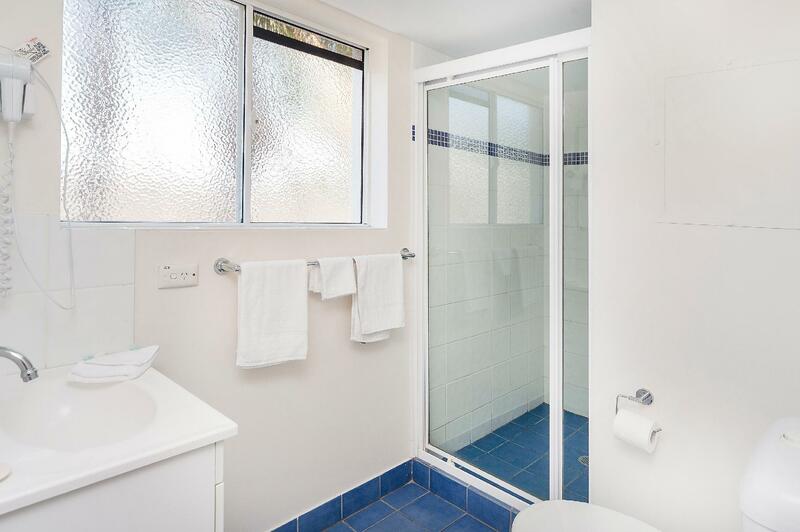 Really good location, and you're at Surfers, Broadbeach and Bond University within minutes. Had no complaints whatsoever. Most definitely going to book this out every time I come over. The room was horrible . bed and pillow was uncomfortable. Not clean and the Tv was broken. Reception lady asked me to try and fix it. In the end we got s replacement Will never stay there again. Move in 3 hrs before checking, and great help from owner! Thx a lot! The value for money was really good, the beds were comfortable. But there were a few things i was concerned with. There was a shared balcony so we werent even able to open our curtains or use it, because our neighbours were always sitting outside - which was bad because we were there to enjoy the GC sun. Hardly any facilities for which a motel should provide. Hardly a kitchen to be able to cook anything. Just the space was well worth the money!! But itll be a tricky and costly place to live for more than 3 nights because of the lack of facilities causing you to buy most of your meals from outside. Was a stay overnight for the purpose of an early appointment got there after 8:30pm to find our room unlocked and the floor in the bathroom blackened with shoe prints, under bare feet the floor was generally dirty. However the shower was great, thank goodness and the bed was comfortable again thank goodness, location good appliances good. Woken up around 4:30am from people talking and smoking outside our room as the table was in the pool area outside our room then someone in the spa at 6am a bit annoying. Never met the staff but email communications was great. Would possibly stay again but would request a different room, we simply needed cheap this time and the deal was great. The room was like a motel room, and the location was not very convenient. I has a supermarket and a few restaurants in 10min walk but the road was quite dark at night. It would be easier if you are driving. 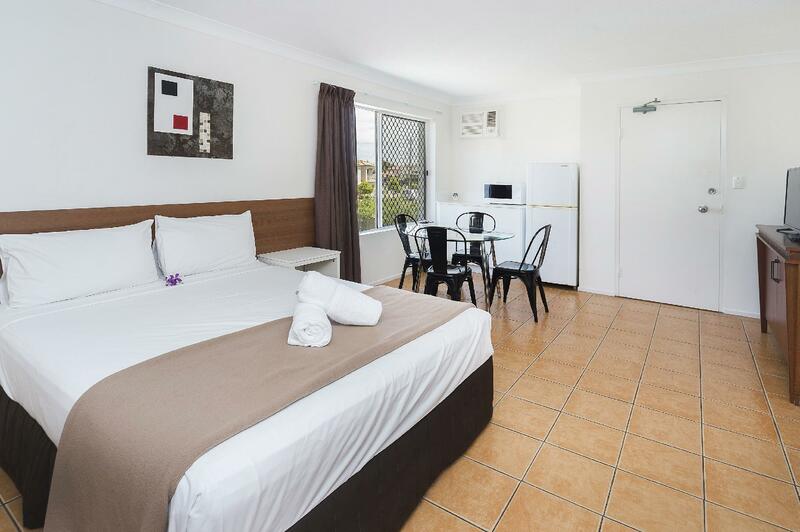 Sorry to say that Sunshine Beach Resort did not meet our expectations. Room was quite unclean, fittings were old and damaged. Very noisey, and bright lights shining into room all night. Shared balcony with next room was totally weird. Office smelt of cigarettes. A couple of the staff were polite and happy, which was nice. Dirty dated overpriced notlike the picture. Not a resort at best a mediocur motel Would never stay again. Hairdryer did not work light not working. Not maintained. decent wifi, friendly staff and good location. Great value for money. Clean and comfortable room. Staff were very friendly. I'd definitely stay there again. I absolutely enjoyed my stay and Vanessa was really helpful! I would definitely stay here again for my next visit to Gold Coast! My stay at the resort was very comfortable and I slept like a baby because there was no disturbance even though I left my balcony window open.